Mr. Guo Jufeng, who said he learned German to better integrate into German society, noted the sharp contrast between his experiences in China and in Germany. He was once tortured and forced to do slave labor in a Chinese labor camp for 15 hours a day without pay, just because he practiced Falun Gong, a cultivation practice banned in China since 1999. In Germany today, he is an electrical engineer. Mr. Guo said that, on his first day in Germany, he was struck by a sense of freedom. He first came to this country on a business trip during the 2008 Olympic Games in China, was impressed by the Bodensee region and the Alps—and that sense of freedom—and stayed. In China, because he refused to give up practicing Falun Gong, he was arrested four times and sent to forced labor camps three times for a total of 450 days. On his first day in Germany, being able to do the Falun Gong exercises in a park moved him to tears. He made an important decision to stay in Germany. Mr. Guo told the interviewer that he appreciated the good manners of the German culture, because he felt they made for a solid foundation of honesty, compassion, fairness, politeness, and wisdom. Mr. Guo said it was very sad that the Chinese Communist Party had destroyed such courtesy in the Chinese culture. 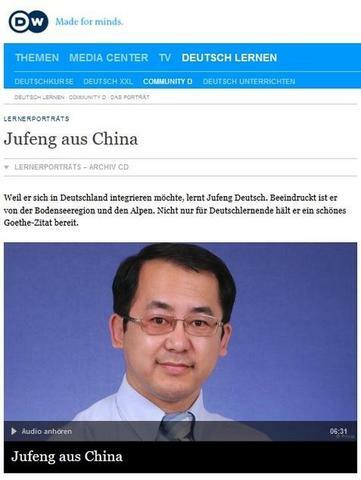 Mr. Guo said his greatest desire is to see the freedom he enjoys in Germany be realized in China. Despite his painful past experiences, he remains positive. because Falun Gong has given him peace of mind and the strength of tolerance.